Luminex Network Intelligence, a Belgium-based manufacturer of data distribution equipment for professional lighting and AV applications for large-venue entertainment settings, has added to its American sales force with the addition of Cardone Solomon & Associates (CSA) as representative in the Northeastern United States. 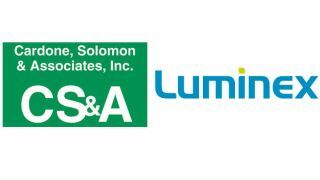 Shortly after the partnership announcement, CSA unveiled Luminex products at its CSA New England Tech Showcase in Boston. Cardone and Solomon reported interest in Luminex at InfoComm, where the manufacturer exhibited the new GigaCore 10, the first truss unit in the GigaCore family, and GigaCore 2.4.0 firmware with MultiLinkX. With the addition of CSA, Luminex now has “taken on reps across the country,” according to Kirby. CSA represents Luminex in New England, New York state, metro New York City, New Jersey, and the Mid-Atlantic.